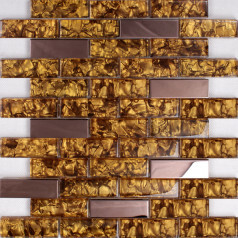 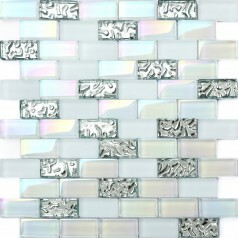 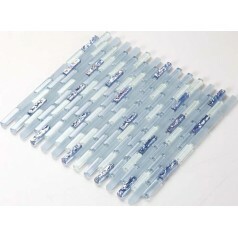 This stone glass mosaic tile have sea blue glass mosaic chips and natural marble mosaics. 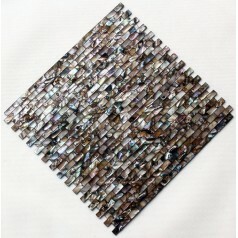 The glass chips went through high temperature kiln during production, so the..
Collection: Painted Colorful Shell Tiles; Material: Shell; Color: Black; Shape: Strip; Size: 12x12 In. 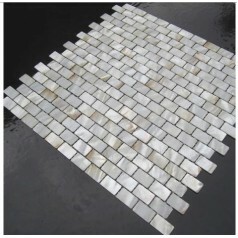 (300x300mm); Chip Size: 10mmx20mm; Thickness: 2mmMother of pearl..
Collection: Stone Glass Mosaic Tiles; Material: Glass and Stone ; Color: Blue; Shape: Strip; Sheet Size: 260mmx290mm; Chip Size: 10mmx24mm; Thickness: 8mmStone and glass..
Collection: Mother of Pearl Tile ; Material: Shell ; Color Family: Natural White ; Shape: Subway ; Sheet Size: 12 x 12 In. 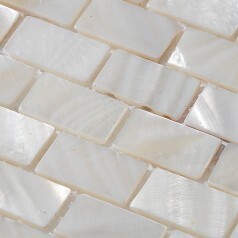 (305x305mm) ; Chip Size: 3/5 x 1-1/6..
Collection: Mother of Pearl Tile; Material: Shell; Color: White; Shape: Subway; Size: 300x300mm; Chip Size: 15x25mm; Thickness: 2mmMother of pearl tile, also called..
Collection: Mother of Pearl Tile; Material: Shell; Color: Natural White; Shape: Square; Size: 300x300mm; Chip Size: 15x30mm; Thickness: 2mmMother of pearl tile, also..
Collection: Light Weight Mother of Pearl Tile; Material: Shell; Color Family: Natural White; Shape: Subway ; Sheet Size: 11.7x11.6 In. 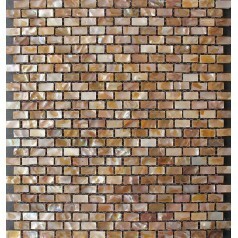 (298x296mm); Chip Size: 3/5x1-1/6..
Collection: Glass Mosaic Tiles; Material: Glass; Shape: Strip; Color: Pink; Sheet Size: 300 x 300mm; Chip Size: 15 x 23mm, 15x48mm,15x73mm; Thickness: 8mmGlass mosaic..
Collection: Mother of Pearl Tile; Material: Shell; Color: Natural; Shape: Subway; Size: 300x300mm; Chip Size: 15x25mm; Thickness: 2mmMother of pearl tile, also called..
Collection: Metallic Mosaic Tiles; Material: Metal, Aluminum; Color: Grey; Shape: Round; Size: 302mmx302mm; Round Size: 20mm; Thickness: 8mmMetallic mosaics tile provide.. 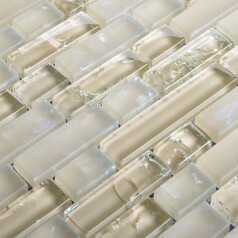 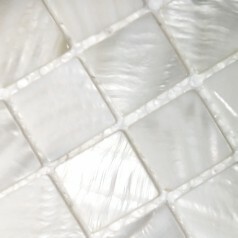 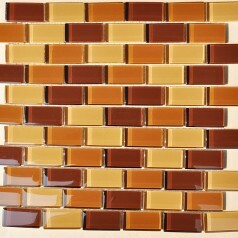 This tile is made of crystal glass and it has subway pattern. 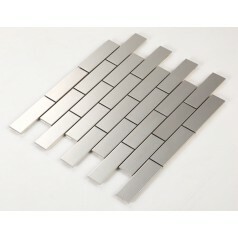 The thickness is 8 mm and the chip size is 1'' x 2'' (23 x 48 mm). 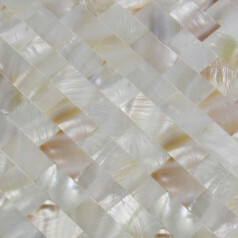 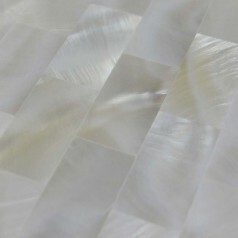 On the back of our product, it is mesh..
Collection: Mother of Pearl Tile; Material: Shell; Color: White; Shape: Subway; Size: 311x318mm; Chip Size: 15x25mm; Thickness: 2mmMother of pearl tile, also called..
Collection: Mother of Pearl Tile with Base; Material: Shell; Color: Natural White; Shape: Subway; Size: 11.8x11.8 In. 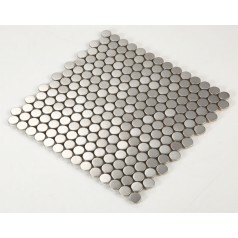 (300x300mm); Chip Size: 3/5x1-1/6 In. 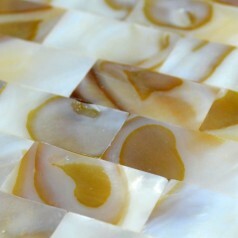 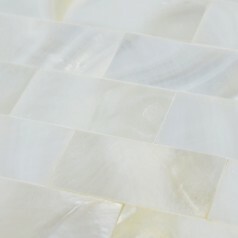 (15x30mm);..
Collection: Mother of Pearl Tile; Material: Shell; Color: Natural; Shape: Square; Size: 300x300mm; Chip Size: 15x30mm; Thickness: 2mmMother of pearl tile, also called.. 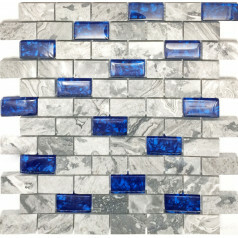 This is our new design marble glass tile, we name this tile "Blue Enchantress". 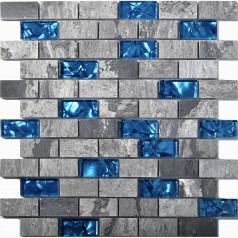 It is subway design with blue crystal glass and grey marble stone. 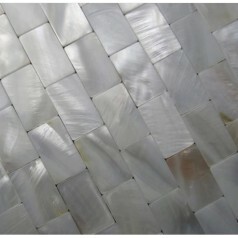 we polish the surface..
Collection: Mother of Pearl Tile; Material: Shell; Color: White; Shape: Square; Size: 300x300mm; Chip Size: 15x30mm; Thickness: 2mmMother of pearl tile, also called..
Collection: Mother of Pearl Tile; Material: Shell; Color: White; Shape: Subway; Size: 300x300mm; Chip Size: 15x30mm; Thickness: 2mmMother of pearl tile, also called..
Collection: Metallic Mosaic Tiles; Material: Metal, Aluminum; Color: Mix color; Shape: Strip; Size: 302mmx302mm; Chip Size: 15x98mm; Thickness: 8mmMetallic mosaics tile.. 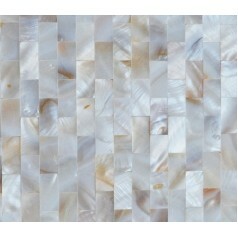 Mother of pearl tile was created by tile artisans who inlay the jewelry boxes, the natural iridescent finish and glittering marks on shells are deeply loved by..
Collection: Glass Mosaic Tiles; Material: Glass; Shape: Strip; Color: Tan; Sheet Size: 300 x 310mm; Chip Size: 25x 50mm; Thickness: 8mmGlass mosaic tiles which can be..
Collection: Interlocking Glass Mosaic Tiles; Material: Glass; Color: Brown; Shape: Interlocking; Size: 305mmx310mm; Chip Size: 15x15mm, 15x64mm; Thickness: 8mmGlass..
Mosaic tiles are perfect use as a bathroom or kitchen backsplash providing a classic look. 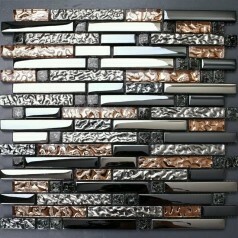 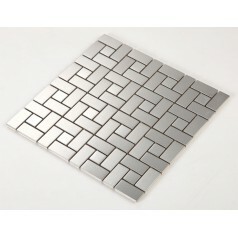 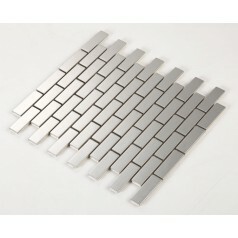 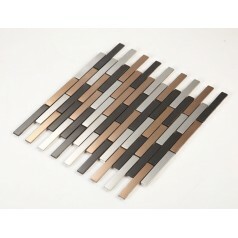 Shop the full collection of mosaic blends at Hominter.com.Each sheet of this..
Collection: Metallic Mosaic Tiles; Material: Metal, stainless steel; Color: Silver; Shape: Square; Size: 300mmx300mm; Chip Size: 15x48mm; Thickness: 8mmMetallic mosaics..
Collection: Metallic Mosaic Tiles; Material: Metal, Aluminum; Color: Grey; Shape: Strip; Size: 302mmx302mm; Chip Size: 30x98mm; Thickness: 8mmMetallic mosaics tile..
Collection: Metal Glass Mosaic Tiles; Material: Glass, Stainless Steel; Color: Gold and Rose gold; Shape: Rectangle; Size: 300mmx300mm; Chip Size: 25mmx47mm; Thickness:..
Collection: Metallic Mosaic Tiles; Material: Metal, Aluminum; Color: Grey; Shape: Strip; Size: 264mmx310mm; Chip Size: 20x64mm; Thickness: 8mmMetallic mosaics tile..
Collection: Light Weight Mother of Pearl Tile; Material: Shell ; Shape: Subway; Sheet Size: 12 x 12 In. 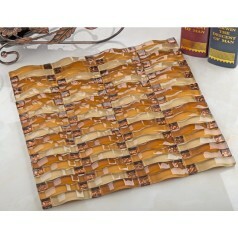 (305x305mm); Chip Size: 3/5 x 1-1/6 In. 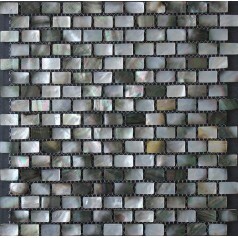 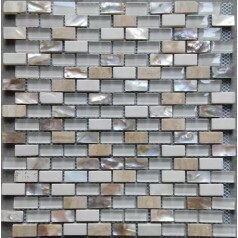 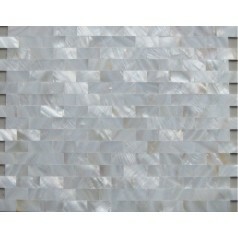 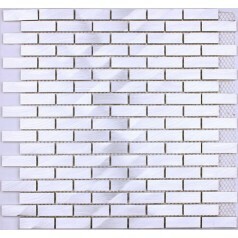 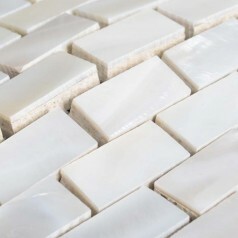 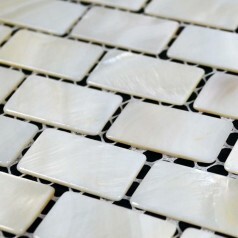 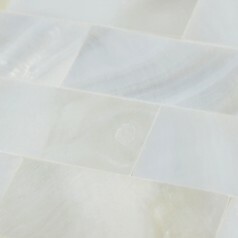 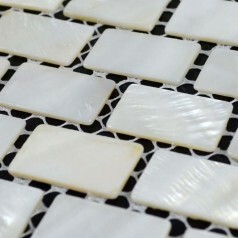 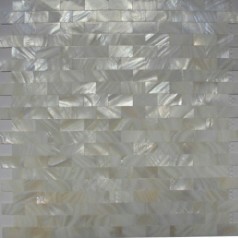 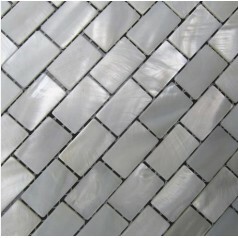 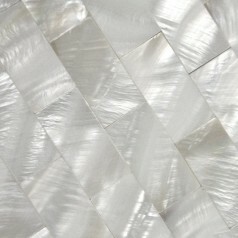 (15x30mm); Thickness:..
Collection: Mother of Pearl Tile; Material: Shell; Color: White; Shape: Square; Size: 318x318mm; Chip Size: 25x25mm; Thickness: 2mmMother of pearl tile, also called..
Collection: Metallic Mosaic Tiles; Material: Metal, Aluminum; Color: Grey; Shape: Strip and Square; Size: 302mmx302mm; Chip Size: 23x23mm,23x48mm; Thickness: 8mmMetallic..